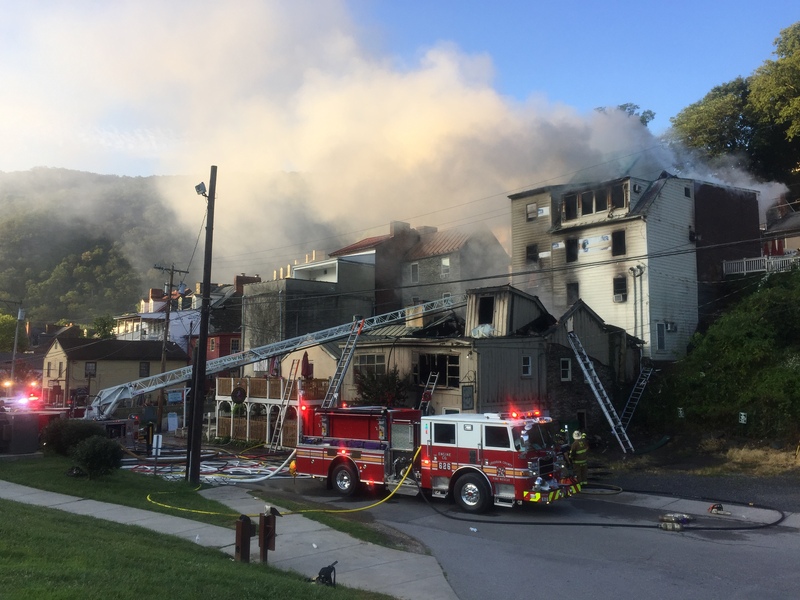 A fire that began in the early hours of July 23 in the historic town of Harpers Ferry destroyed several business and irreplaceable history. The two large buildings made of timber and stone that were gutted by the fire had stood for 200 years. 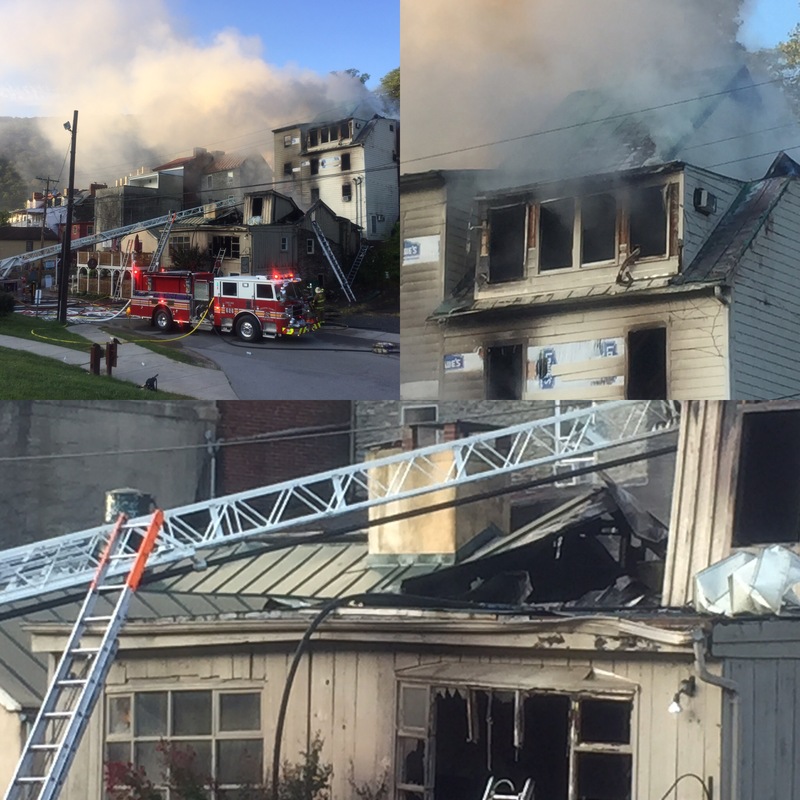 I arrived on the scene at 6:30 a.m. and the fire department was still struggling to put down the fire after three hours. It wasn’t officially put down until around 11:00. You could see the smoke from six miles away. The only saving grace of the tragedy is not one person was harmed. Harpers Ferry, West Virginia is one of the historic jewels of the United States. The small town in the Eastern Panhandle of West Virginia sits on the flood plain and hillside of the confluence of the Potomac and Shenandoah Rivers, about 10 minutes from where I grew up. It was founded in 1734 by Robert Harper. He started his ferry across the Potomac in 1761 and the crossing became a gateway for early settlers traveling west in the frontier, which in those days was considered between 100 and 200 miles from the Atlantic coastline. American founding fathers Thomas Jefferson and George Washington both visited Harpers Ferry in their day. The town is best known for radical abolitionist John Brown’s raid on the arsenal in the town in 1859 in is attempt to steal weapons and supplies to start a rebellion to free the slaves being held in the United States. The raid failed but is considered one of the sparks that lead to the U.S. Civil War that started in 1861. The town is part historic park and part functioning town, and well worth the visit for any one who like history, hand-made crafts and the feel of village life. The town has seen many tragic events in is long history: fires, the raid, massive floods and the Civil War (to name a few), and it’s still standing and prospering. The fire was devastating and eight business were destroyed, but the town is still there and waiting to host your visit. We’re coming up on the best time of year to visit, too. Harpers Ferry is stunning in the fall as the leaves in the Shenandoah Valley begin to turn.